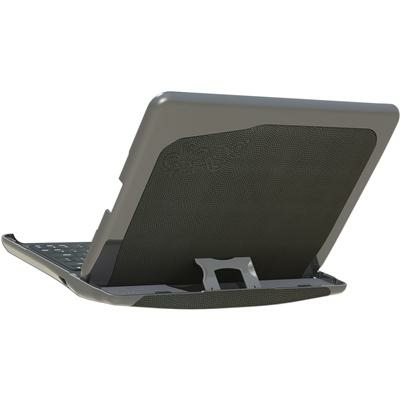 Will the Clingo Bluetooth case work with my tablet? Yes. No adapters necessary. That’s the magic of Clingo Technology. 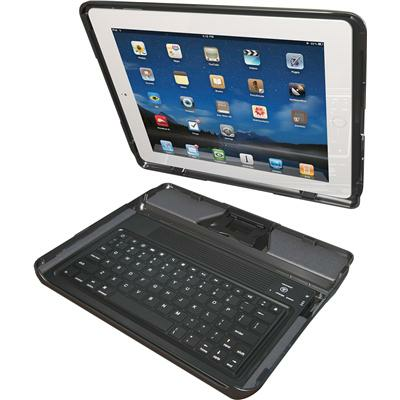 It is designed to work with most tablets or other bluetooth media device between 4" and 10.2". Absolutely not. The material is designed to stick, peel and repeat without leaving any residue on your device. Not at all. For quick cleaning use a damp, lint-free wipe to remove dirt, dust and oil from Clingo pad. Do not use any paper products. For best results, run water over the Clingo pad and use finger to remove any dirt or dust. Hand oil or grease may require the use of mild soap. Do not use solvents to clean the Cingo pad. Cleaning frequency may vary by environment.